Amy's farewell party. 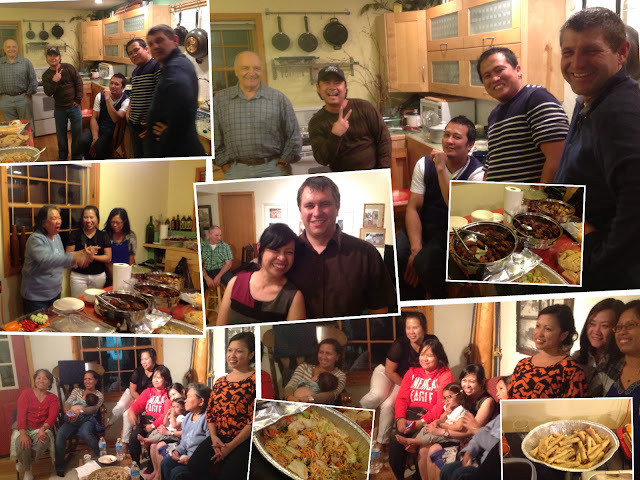 I got to meet other Filipinos in Fernie. So awesome!!!! Book I am currently reading! So awesome!!!!!!! Making some Trick or Treat bags for the kids in Elko, or whoever knocks on our door on Halloween night! We gave away 24 trick or treat bags this year. Last year, we only had 14 kids knock for treats. I ended up eating the chocolates and the Candies we didn't give away. hahaha.